Multiple-web fabric transport, dimensioning, edge trimming, label insertion (optional), forming of a roll hem (optional), sewing with overlock stitch, stacking. 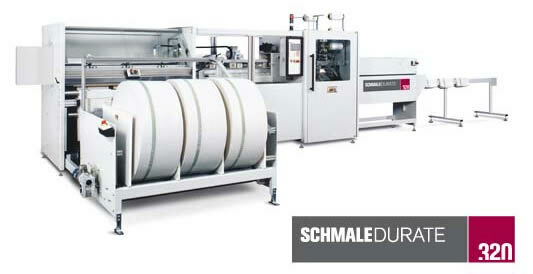 The SCHMALEDURATE 320 takes over the complete cross processing procedure for you. Reliable and fully-automatic. For a great variety of matched and unmatched fabric webs such as floor rags, cleaning tissues, cleansing cloths for machines, napkins and much more.